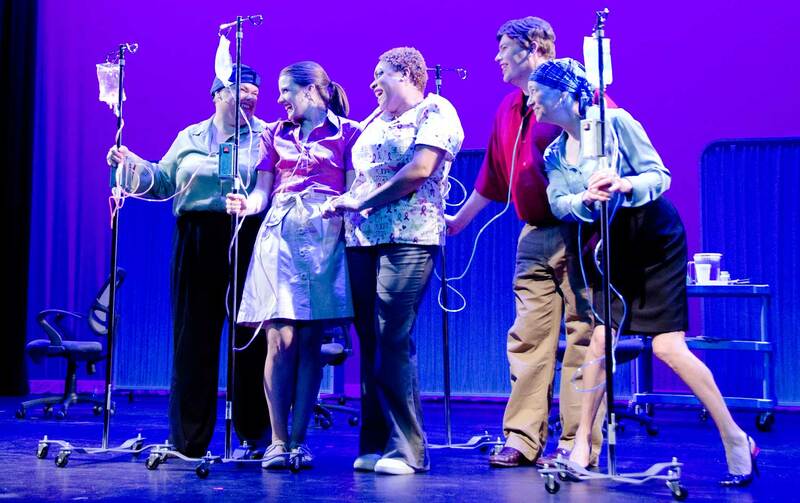 Breast In Show is something of a different beast for the DC Fringe Festival, and on opening night you could see it in the composition of the audience: many older theater-goers, women and men in their 50’s-70’s, many survivors (or “warriors” as the show names them) of and supporters of those that have been diagnosed and undergone treatment for breast cancer. Some, if not many, may have lost loved ones to the disease. But they are one of the most vocal and passionate groups of medical advocates in the U.S. and this musical stands as proof. 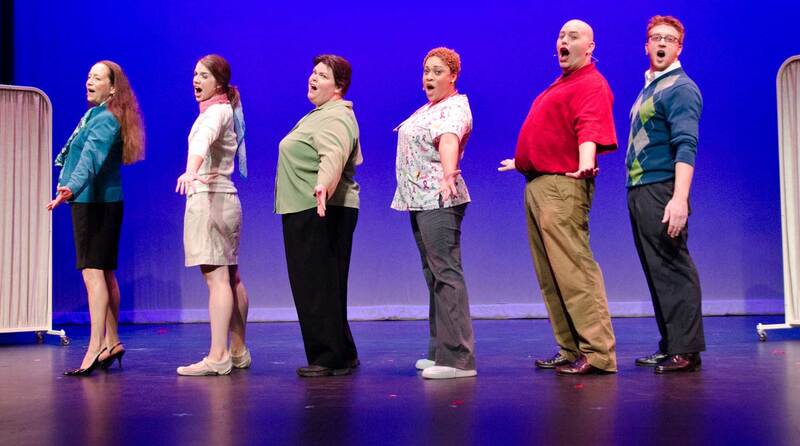 While the production may lean heavily towards pastiche and musical revue mannerisms, Breast In Show is telling a story that needs to be told and this cast makes sure you hear it loud and clear. They all fall into pretty stock character types: the ladder-climbing power lawyer, the sassy older lady with a thing for her oncologist, the young single mother with kids to care for and no time to heal, the one man who is diagnosed with breast cancer and is emasculated for it, and the caring nurse there to bring them all back to health. 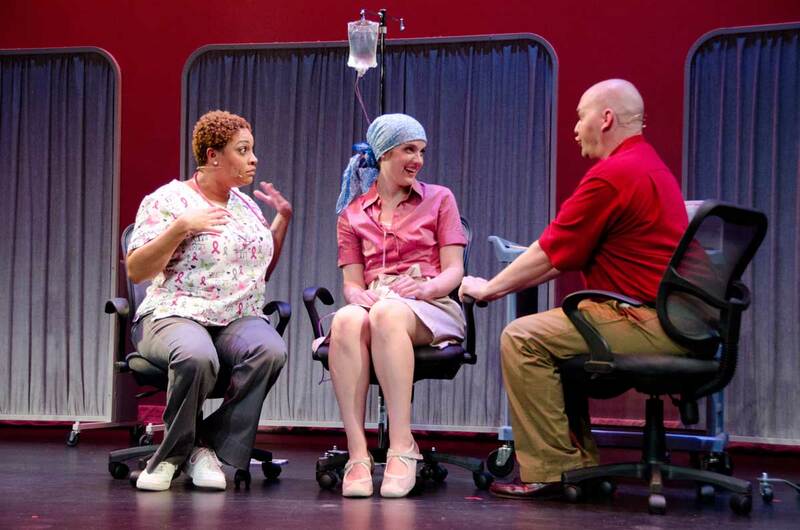 Nothing that hasn’t been seen in medical procedurals before, but where this play truly shines is in the music. The music and lyrics by Joan Cushing carry a huge amount of the emotional weight and the cast is easily up to the challenge. Under the musical direction of Deborah Jackson, the six person cast tackles the smartly-arranged music with plenty of energy and passion. 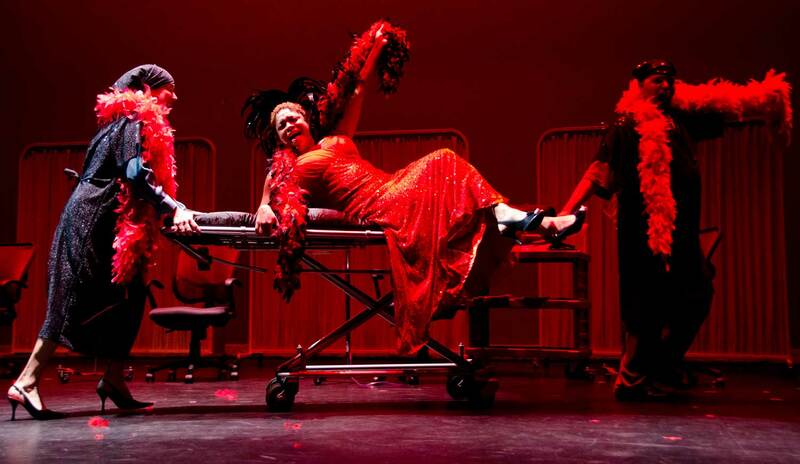 Cushing adapts a number of different musical theater styles to suit the mood of her songs, ranging from funny to darkly humorous to downright heart-wrenching. The standout song of the night was “Normal”—stepping away from the up-tempo and brassier numbers, it is a contemplative and touching meditation on the struggles of cancer treatment and how the characters long to return to the life they had before. And the final big number “Time,”,as if intentionally composed to rip out your heartstrings, doesn’t leave a dry eye in the audience. With Jacobson at the keyboard and Dana Gardner on reeds, the two bring the score to life in the Mountain at the Mt. Vernon Methodist Church. 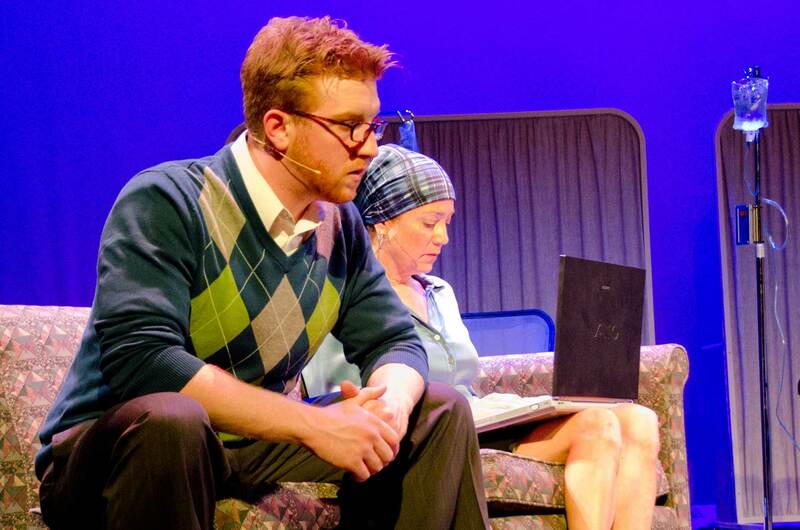 Matt Dewberry stands out in his dexterous performance as both Wendy’s loving husband and the über-extrovert wig-pedalling Freddy, bringing charm and heart to the polar opposite characters. 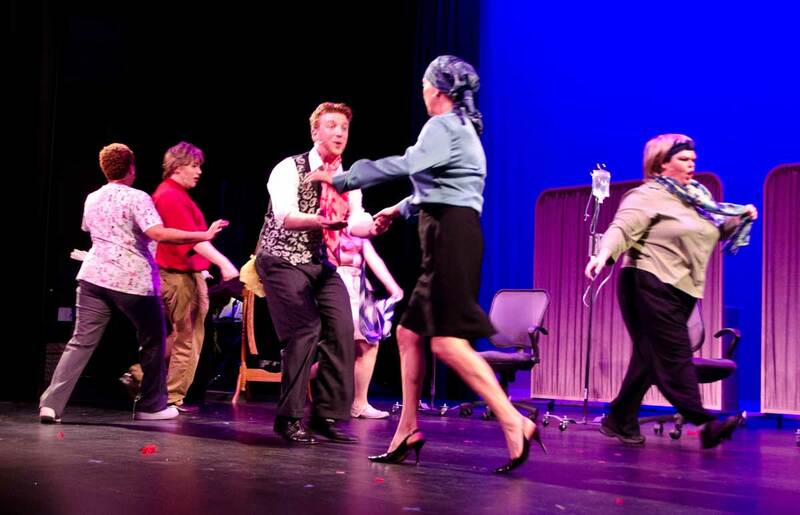 Jennie Lutz, as the sassy grandmother Marsha, has a marvelous time bringing down the house with her love ballad to her oncologist. 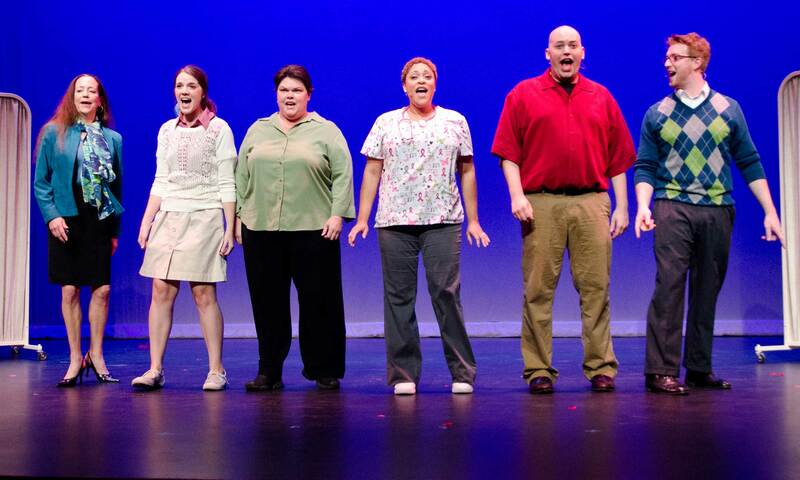 Ayanna Hardy, Gracie Jones, Chris Rudy, and Megan Westman round out the cast with solid and moving performances. The minimal set of a rolling black desk and a bunch of chairs gets the job done. 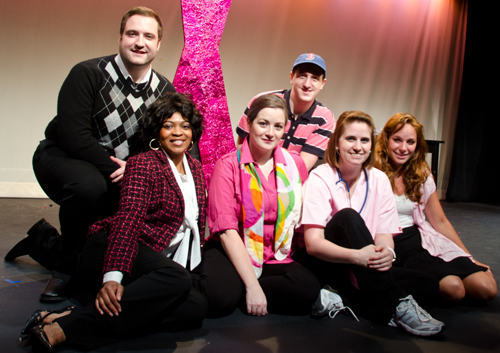 Three tall glittery pink ribbons form the Breast Cancer Awareness symbol on the stage to practically serve as a place to set props and costumes, but also stand as a glaring reminder as to the subject matter at hand. 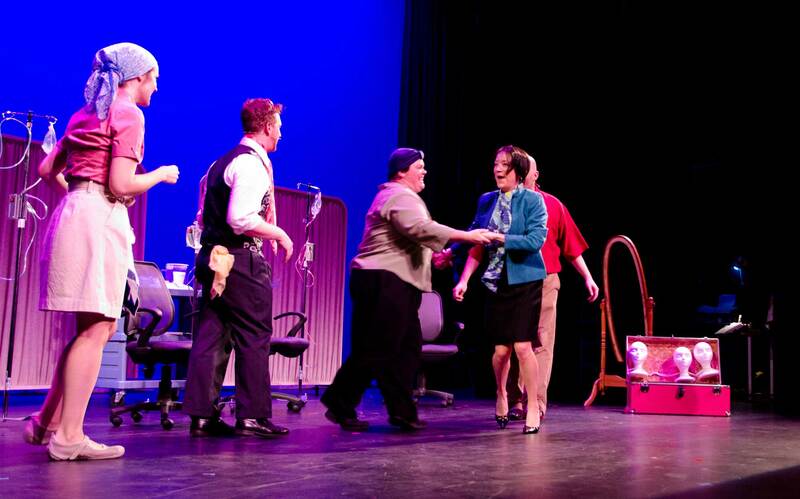 There were a few unnecessary sound cues and a few technical glitches here and there on opening night. 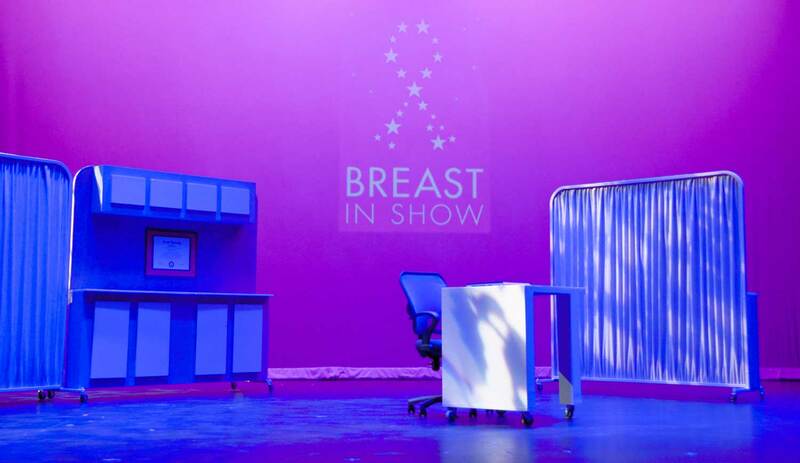 Yet Breast In Show is a thoughtful production that asks us to stand up and support the fight against breast cancer. Going off the standing ovation they received at curtain call, I think they’ve got it.